Our regional meetings ended in November with a total of 23 Granges attending. This is a little less than half the Granges in the state. However, all but 2 CWA packets were picked up at those meetings. 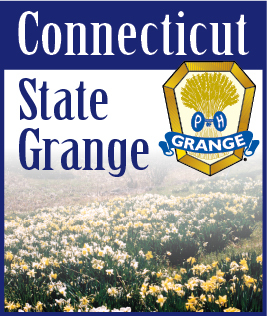 I hope that if your Grange was not represented that the packets were delivered and all the information on the new contests and judging date was also passed on. Now I would like to have your feedback on whether the regionals were worth having. At some time during the next year I hope to hear from as many as possible whether to hold them next year or not. It was my decision to hold the meetings and it will be your decision to do them again or not, next year. On Nov. 15th we had the drawing of our raffle. The winners were $25.00 gift certificate to Stop & Shop – Cindy Legg; $25.00 gift certificate to WalMart- Anne-Marie Knochenhauer, Afghan – Riley Tefft, small kitchen basket – Jim Lamoureux, decorated teacup – Cindy Legg. Thank you all for supporting our committee.